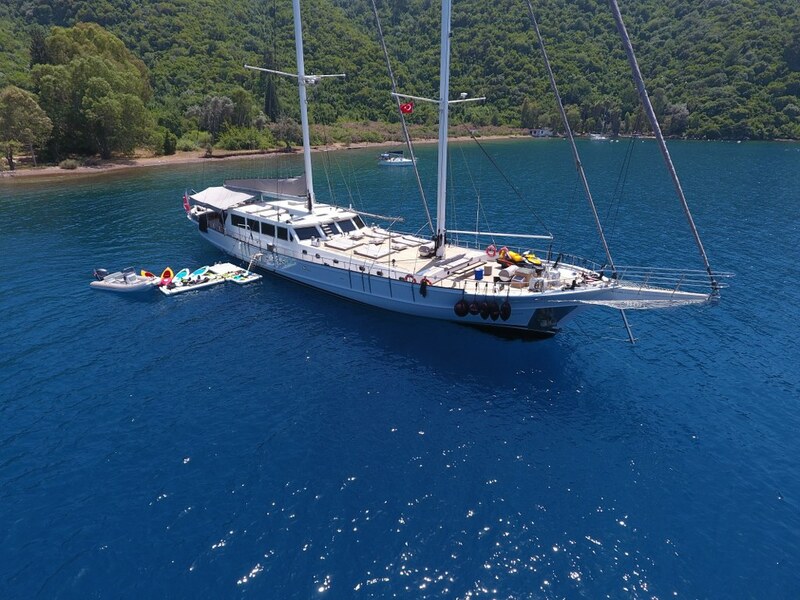 Superb and simply stylish, White Soul is a completely modern motor-sailing yacht with the beautiful lines and soul of a traditional gulet. 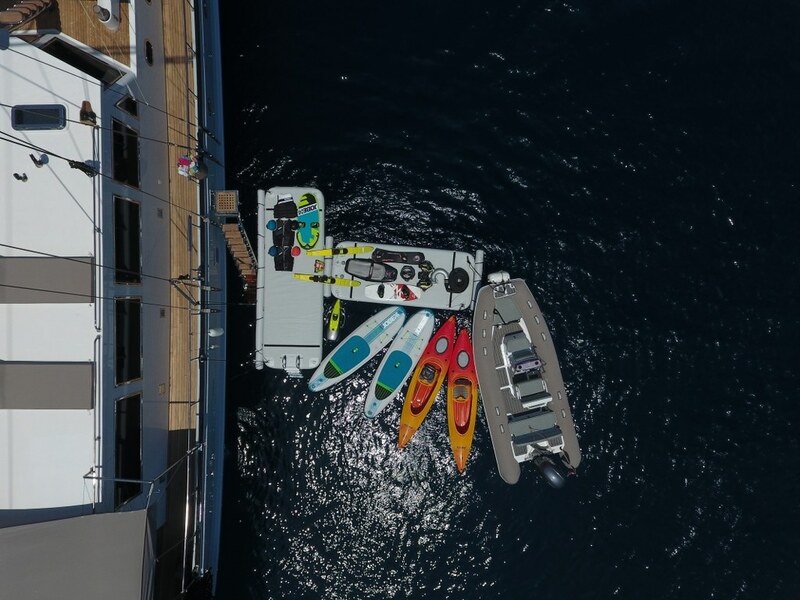 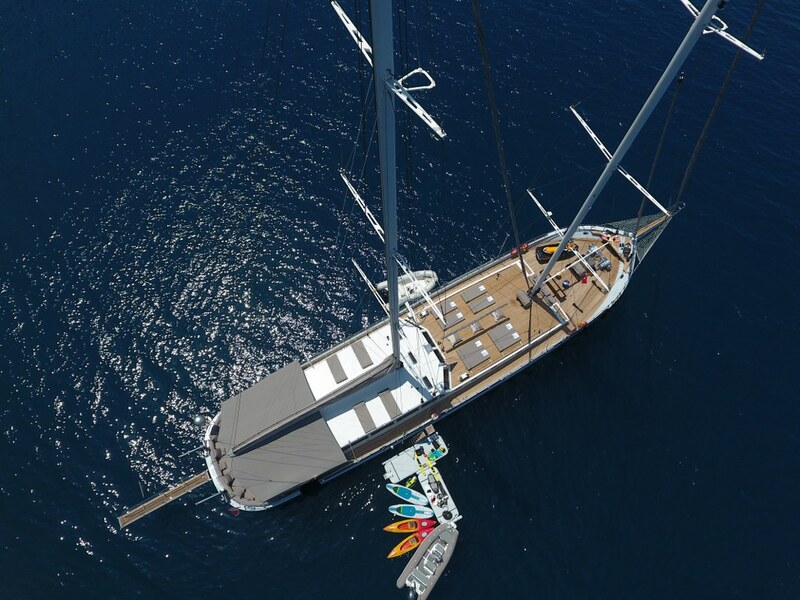 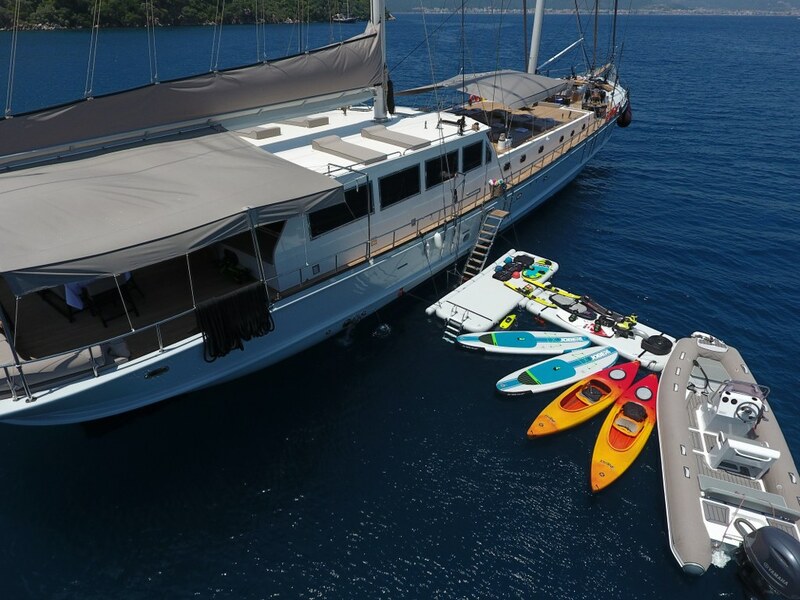 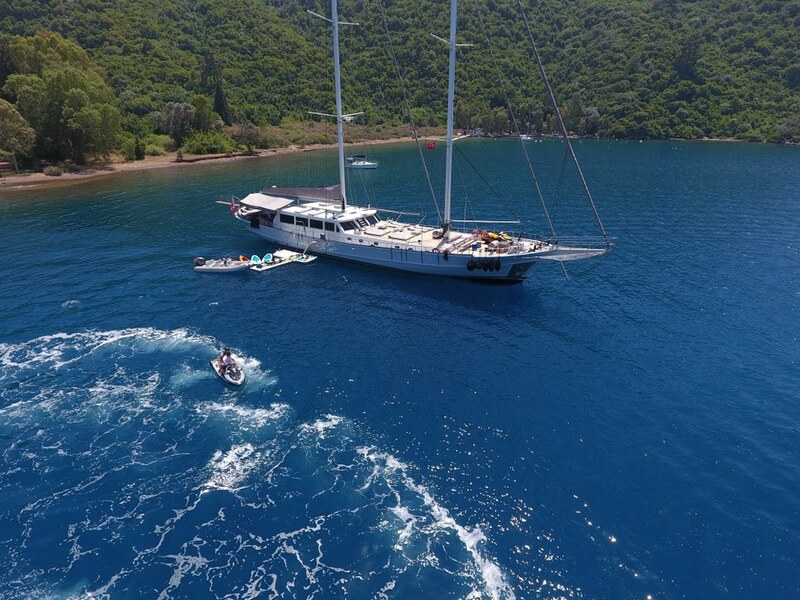 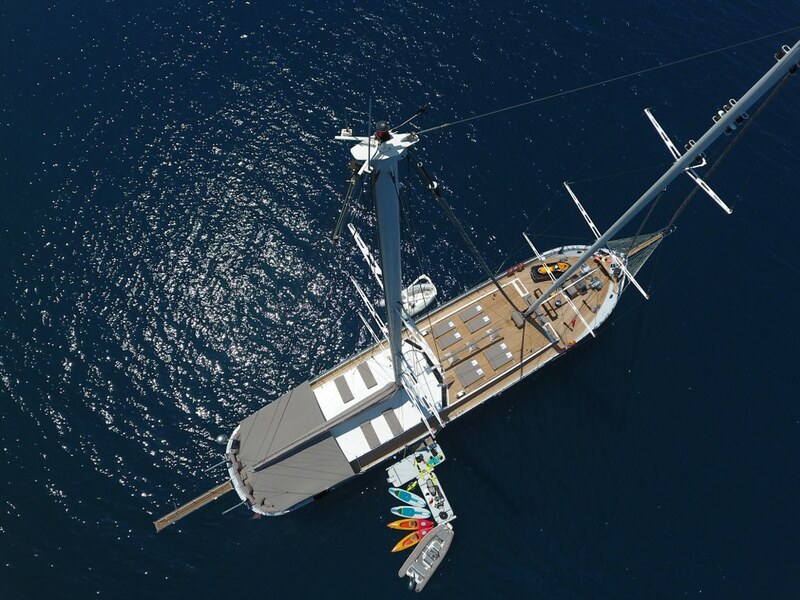 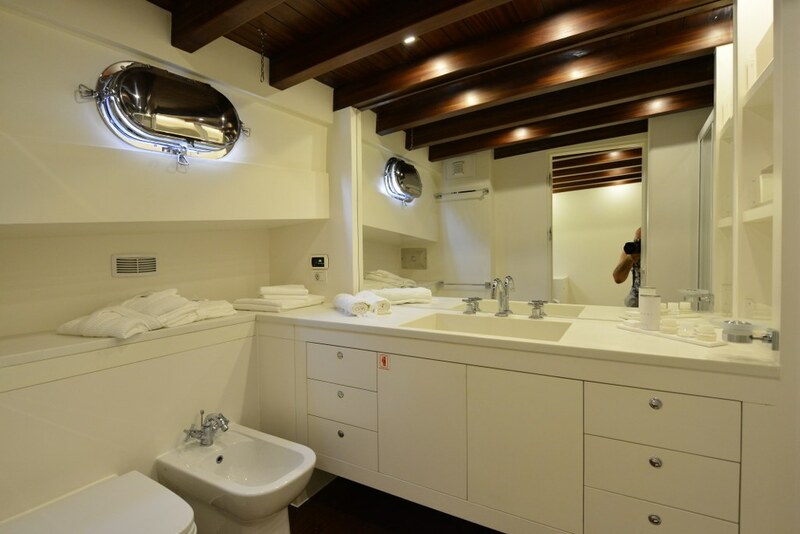 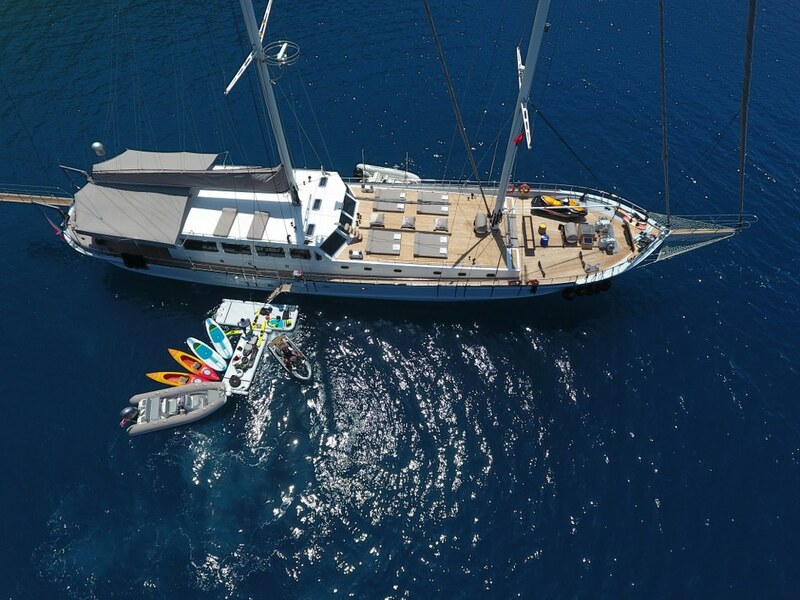 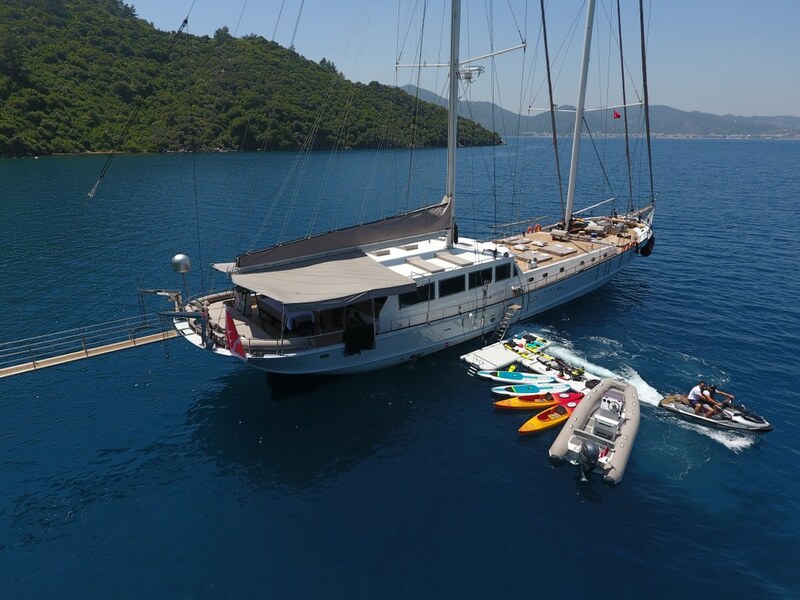 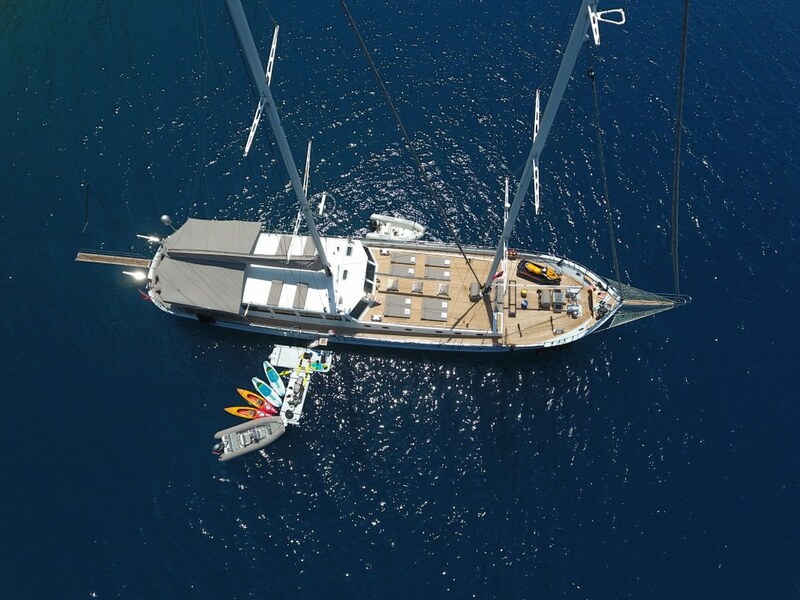 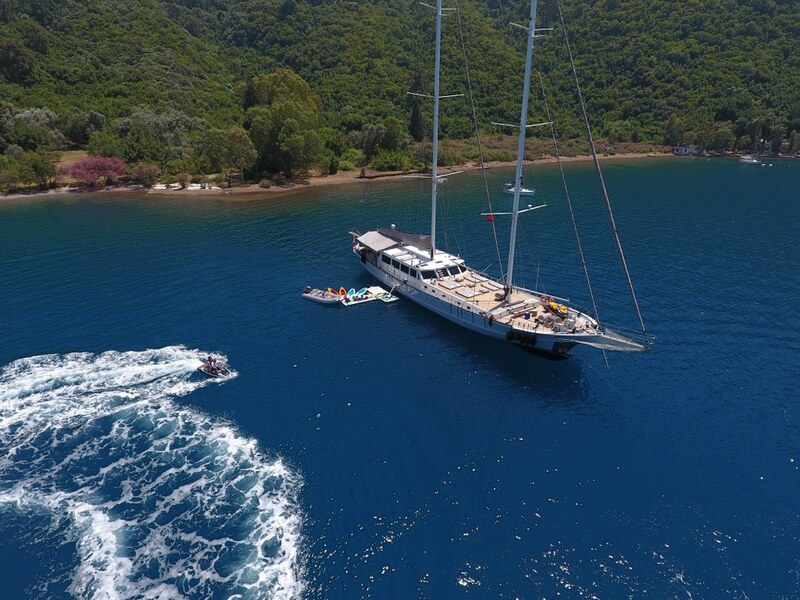 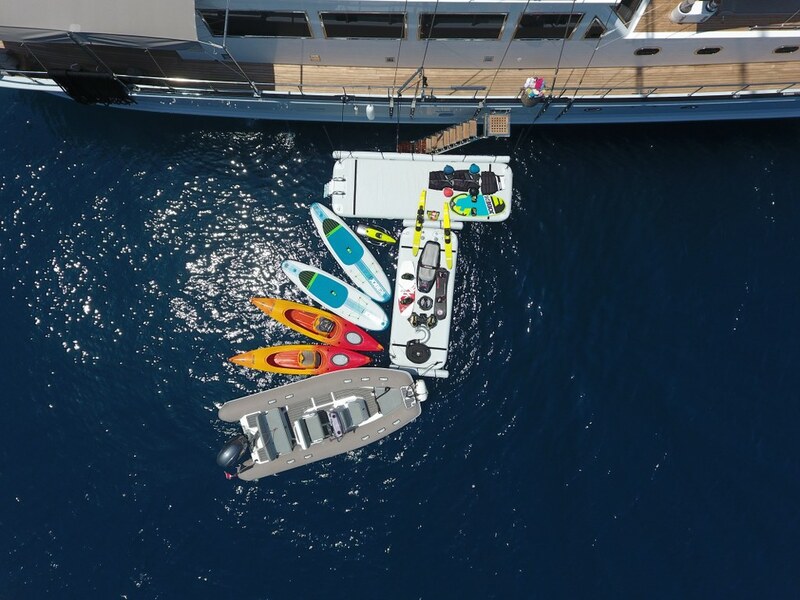 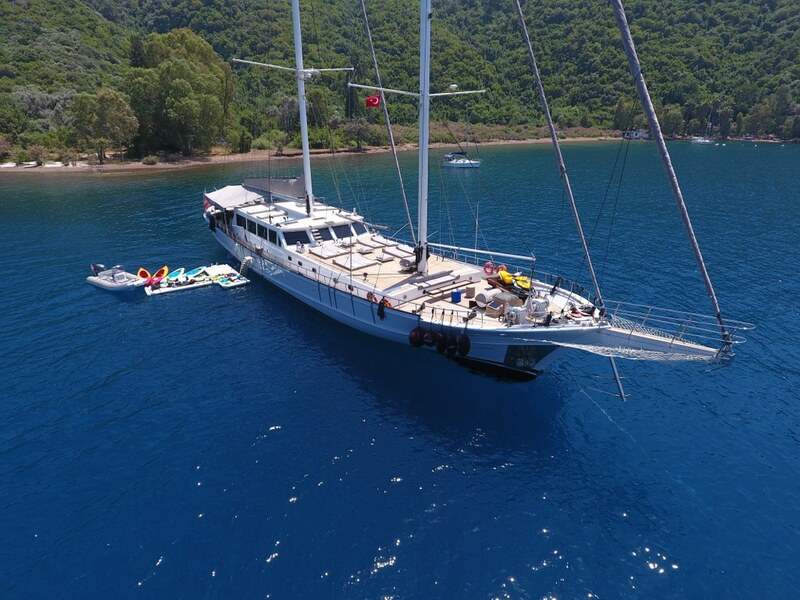 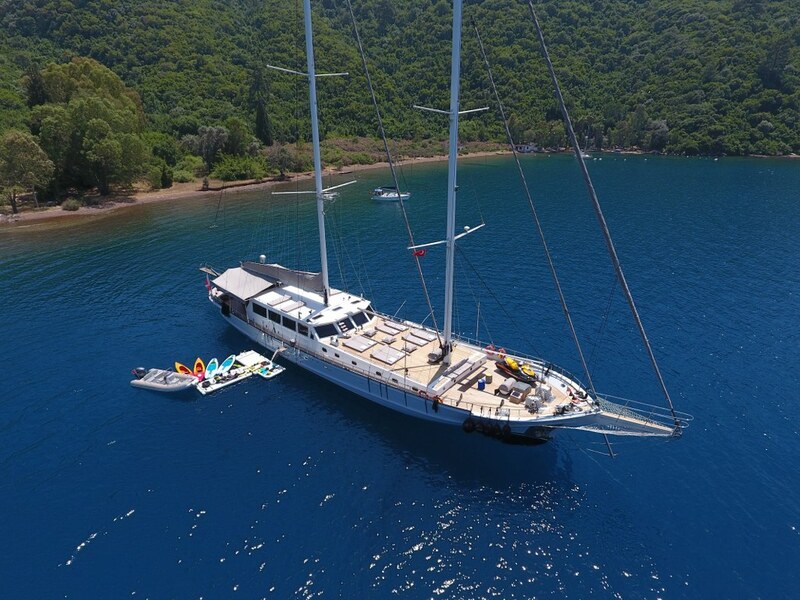 As a VIP gulet White Soul carries just five spacious cabins for up to ten guests in her thirty-eight metre hull, affording each double cabin a roomy bathroom with full shower cabin, bidet and WC, basins and shelving, and hairdryer. 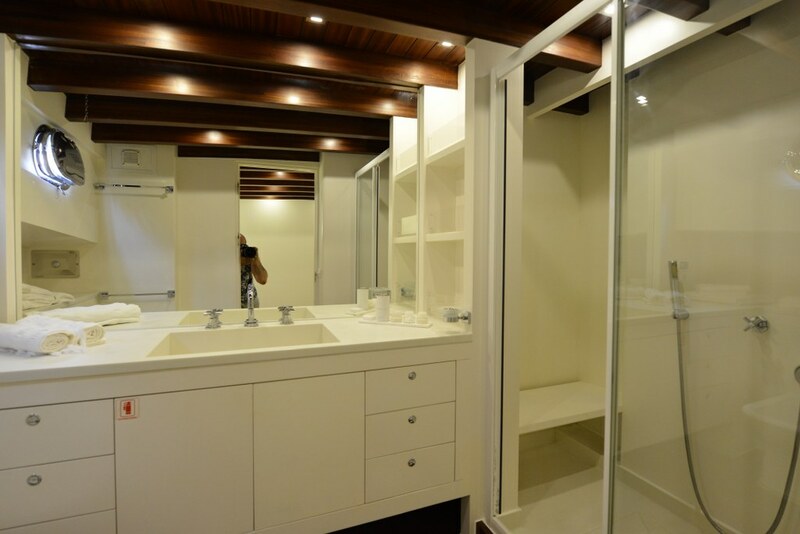 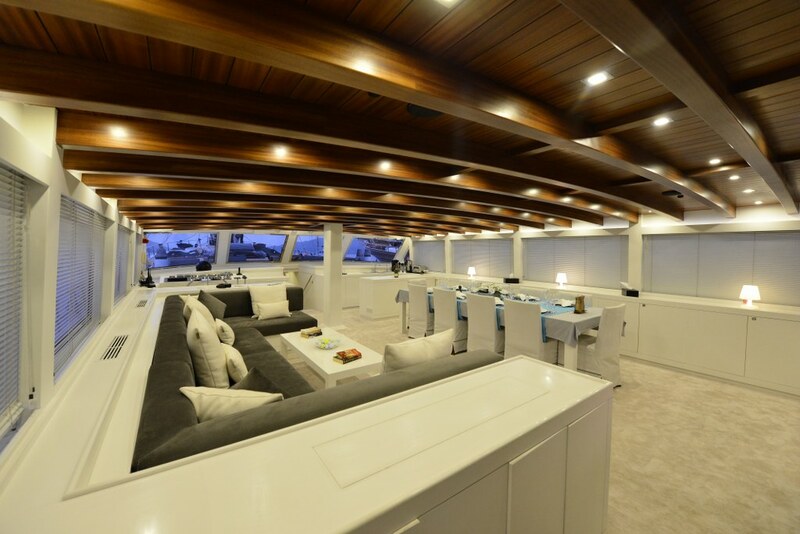 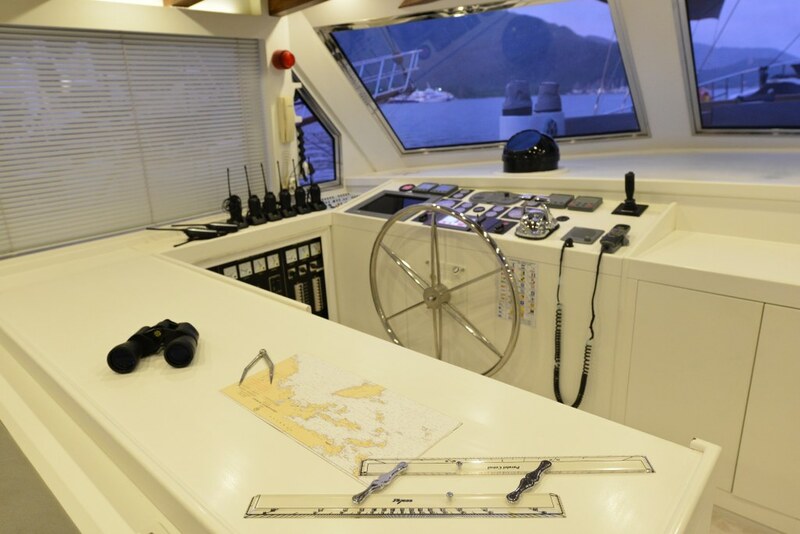 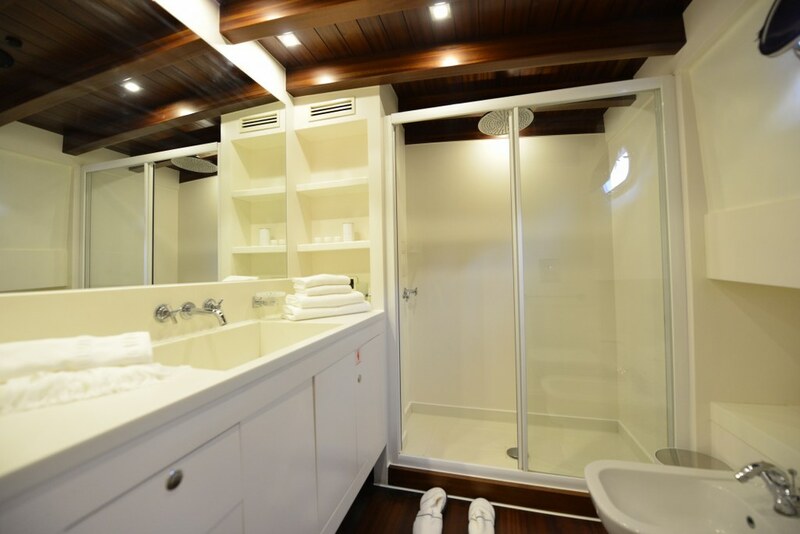 The master cabin enjoys the space of the full beam width with both a bathroom and a walk in robe, a desk/vanity and a comfortable side couch. 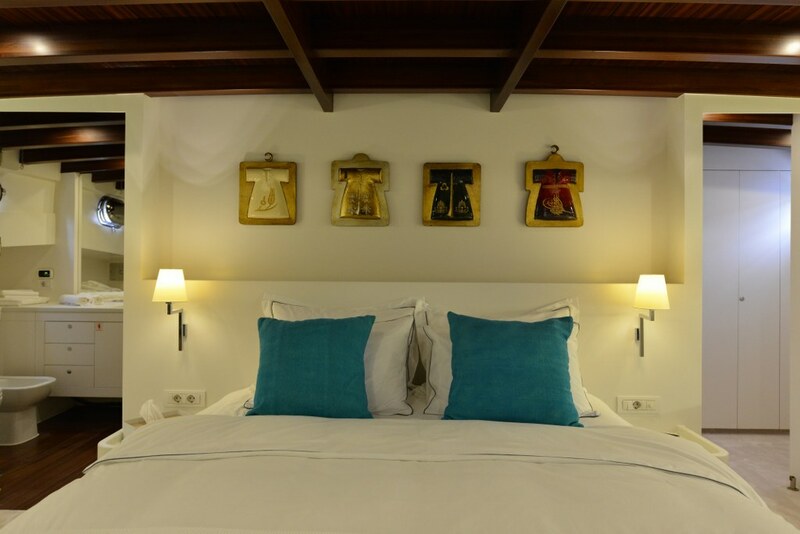 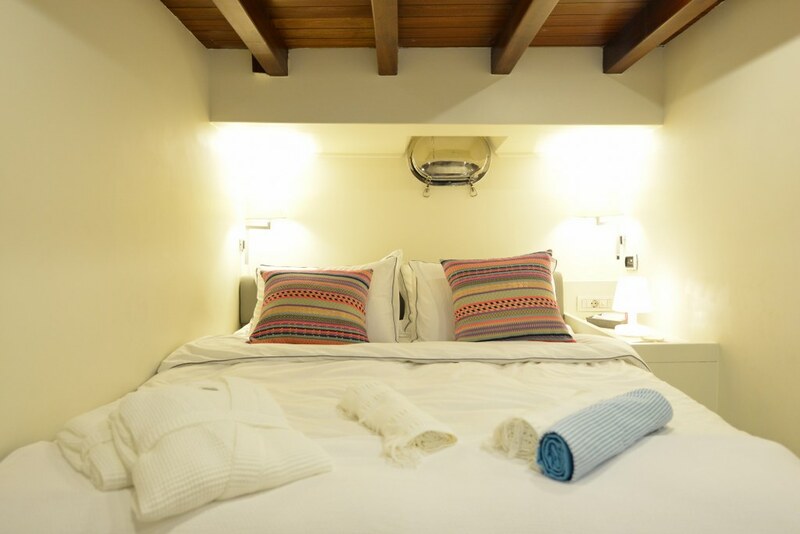 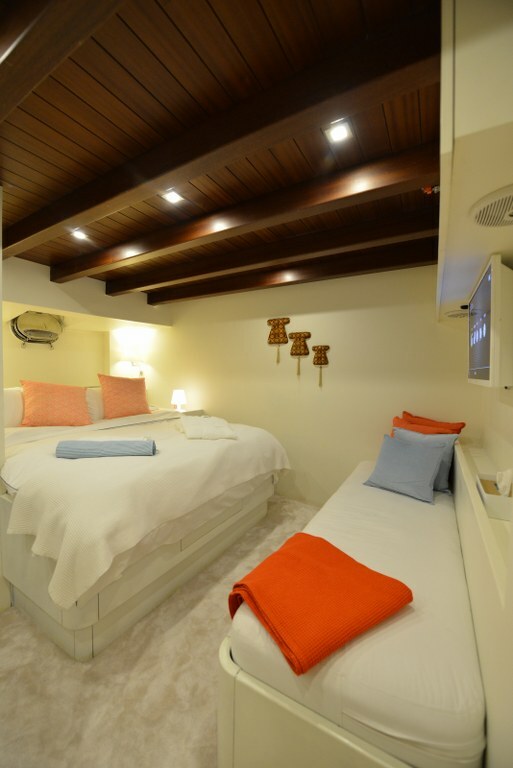 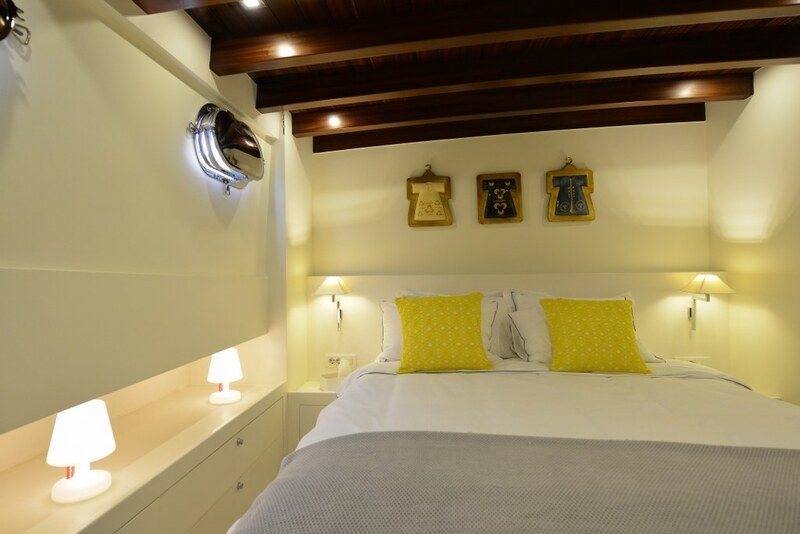 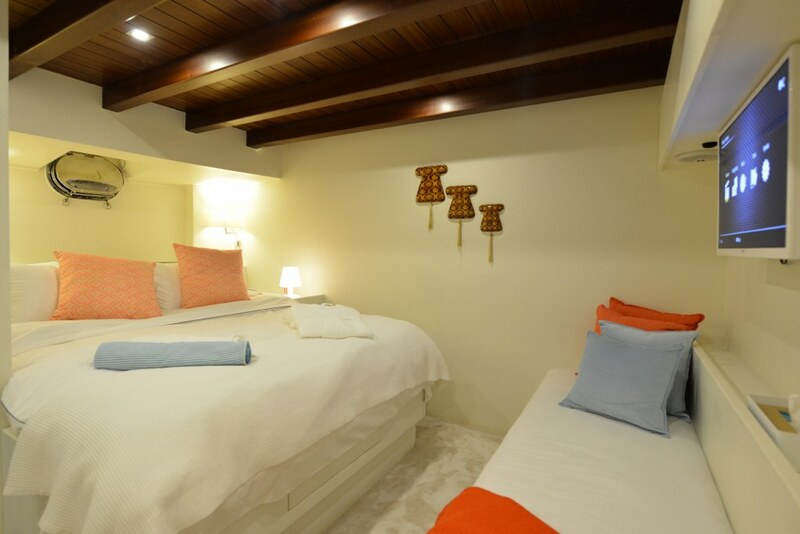 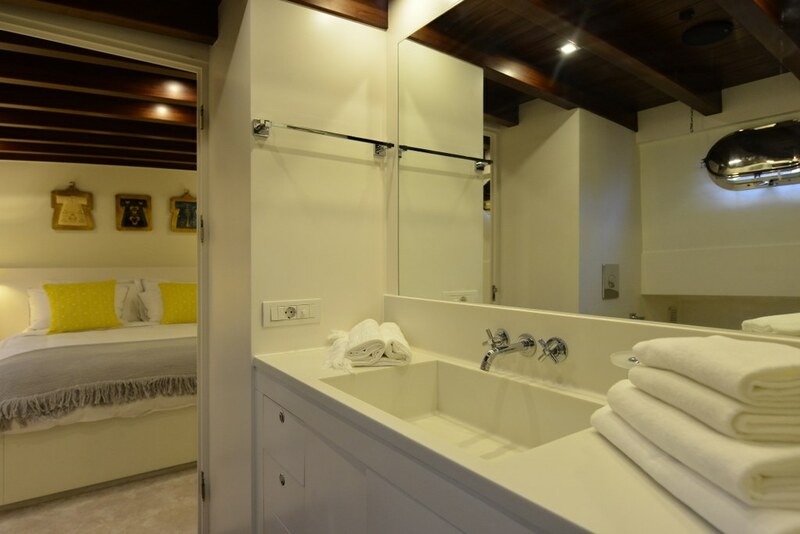 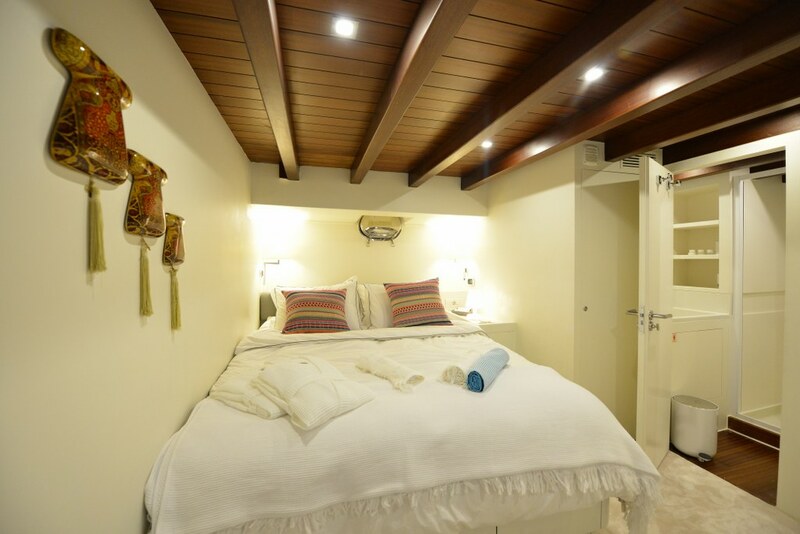 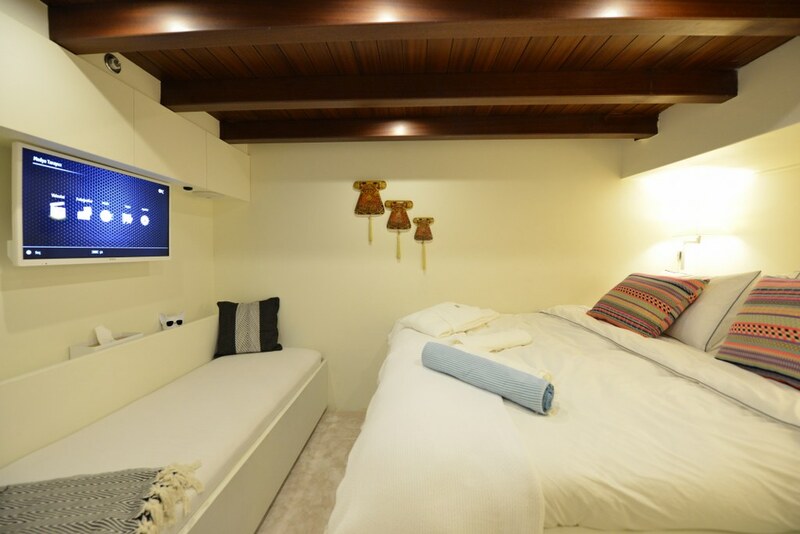 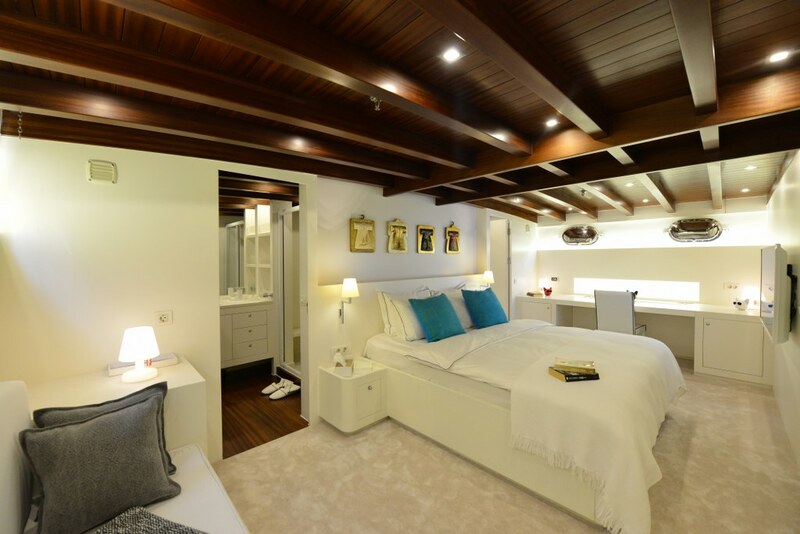 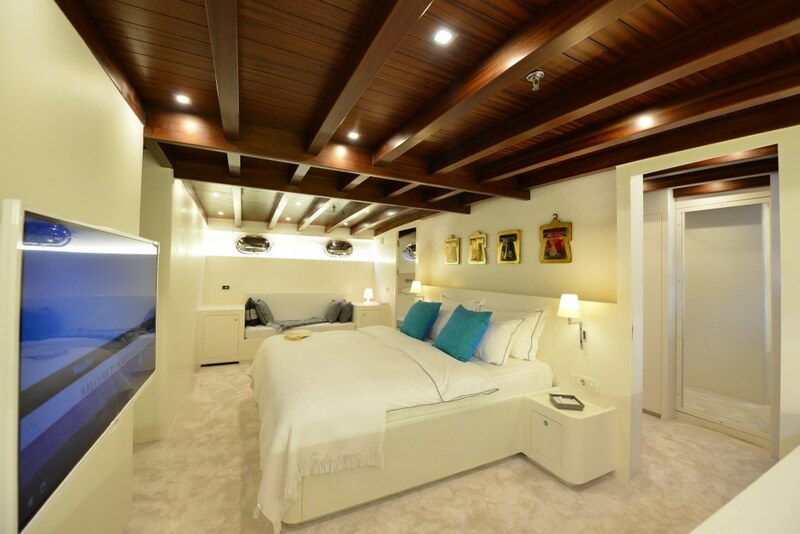 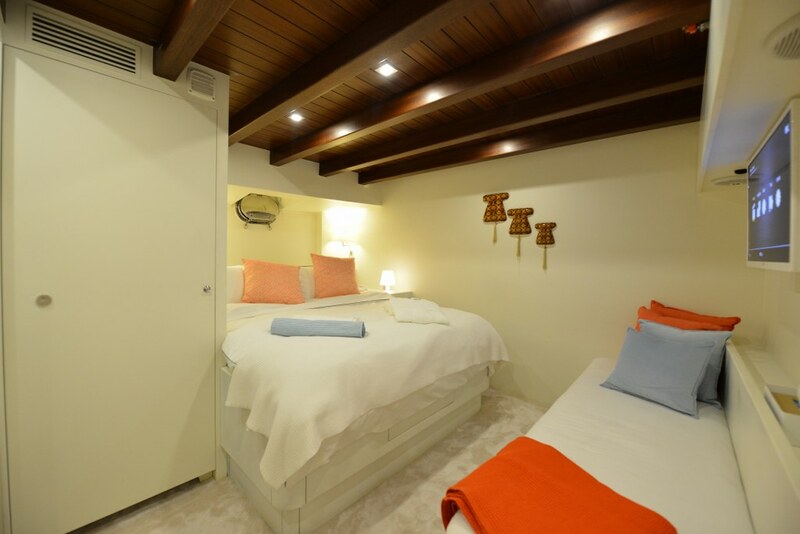 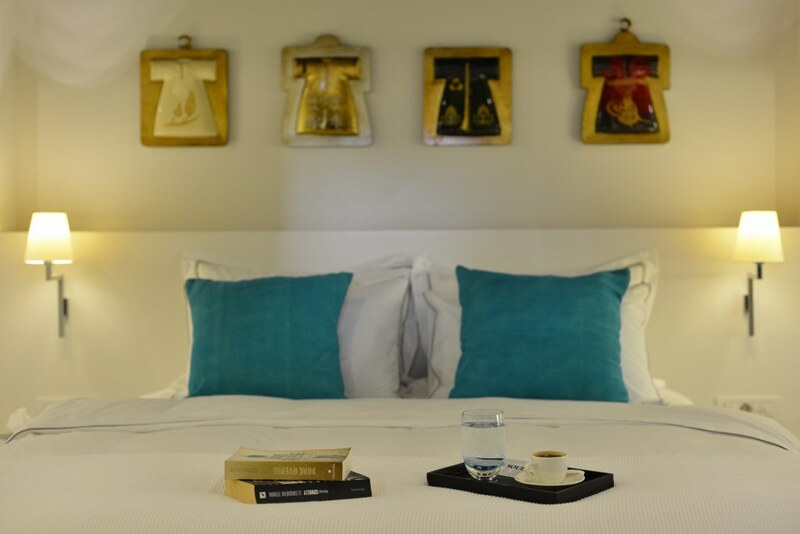 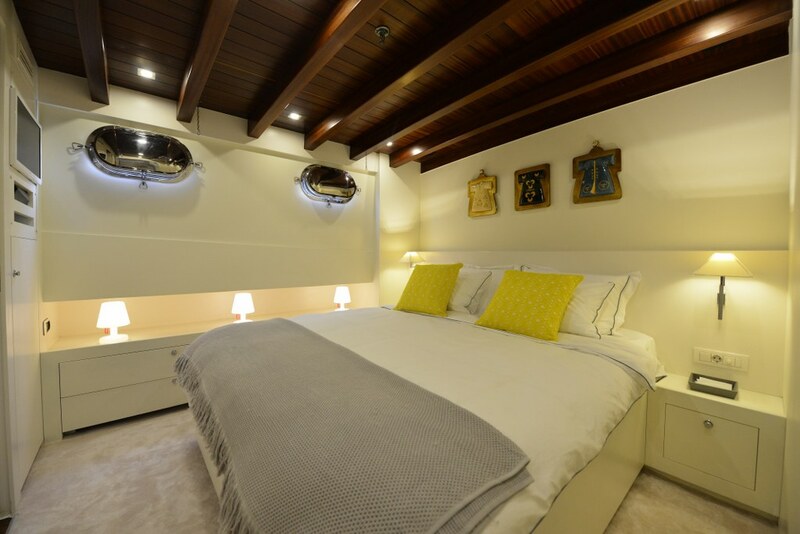 Both the master and the double cabins have full sized centrally aligned beds. 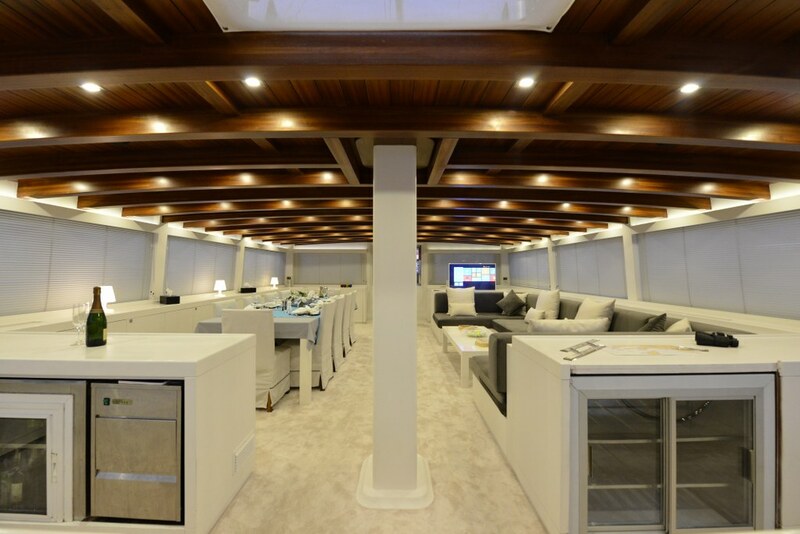 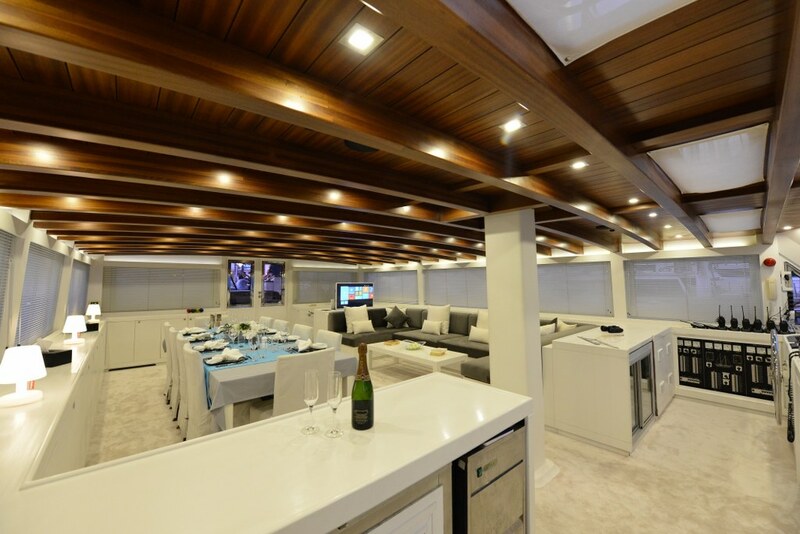 Each cabin has private TV/DVD/music and air conditioning. 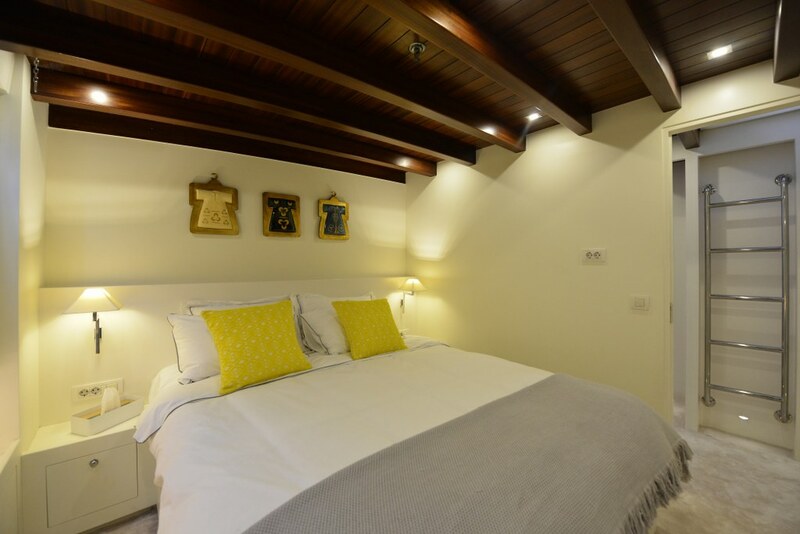 The Italian influenced interiors of White Soul are stylishly white and light filled, offset by the ceilings of varnished wooden beams. 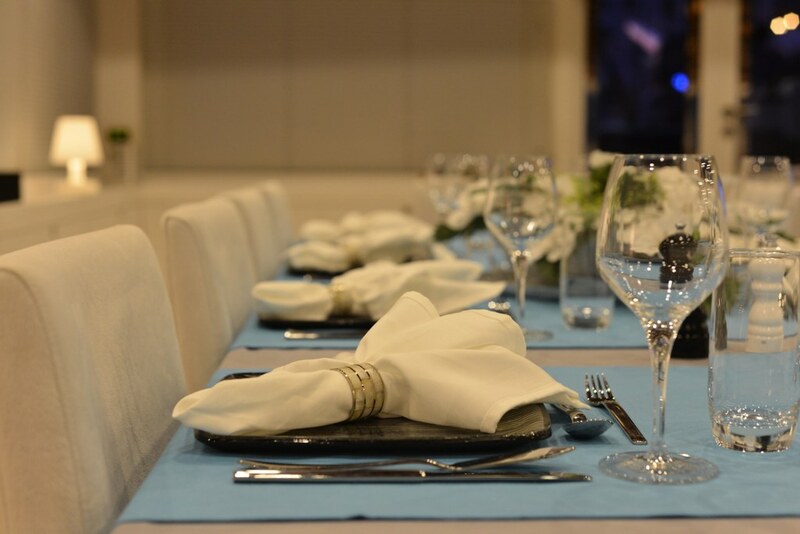 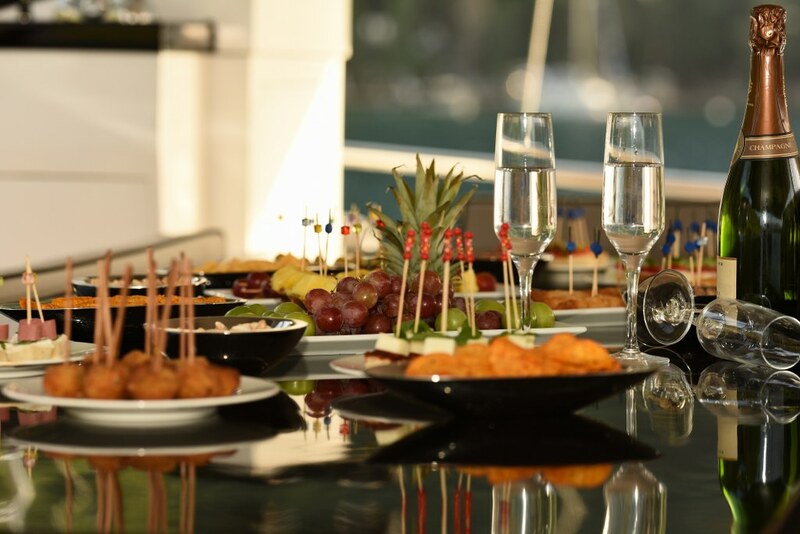 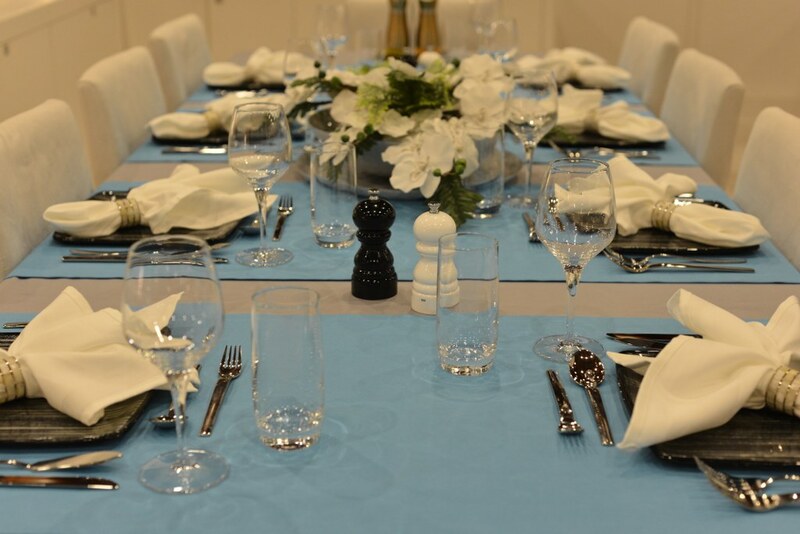 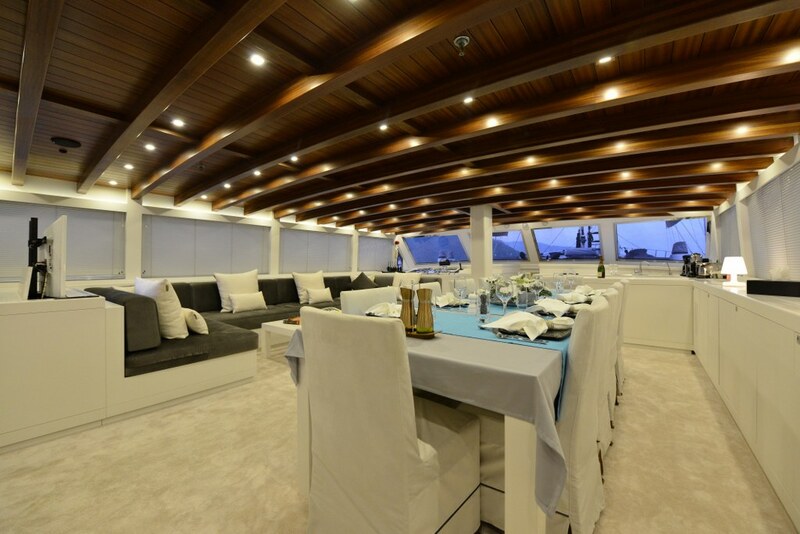 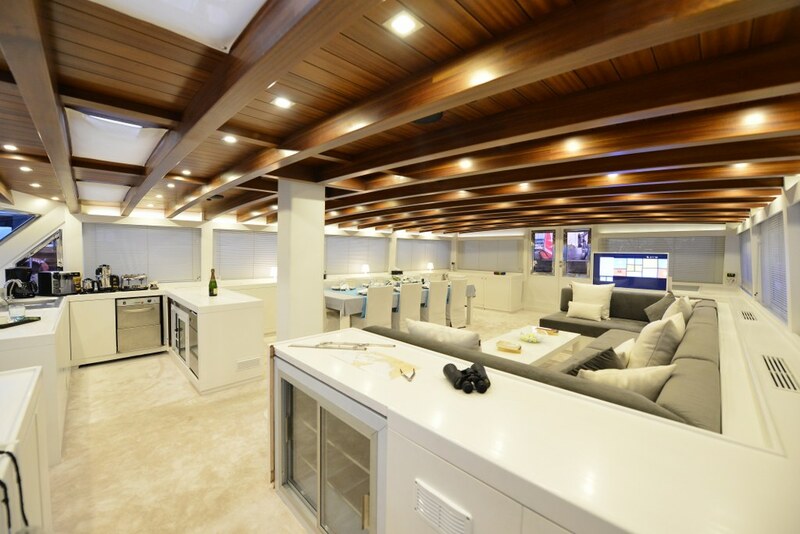 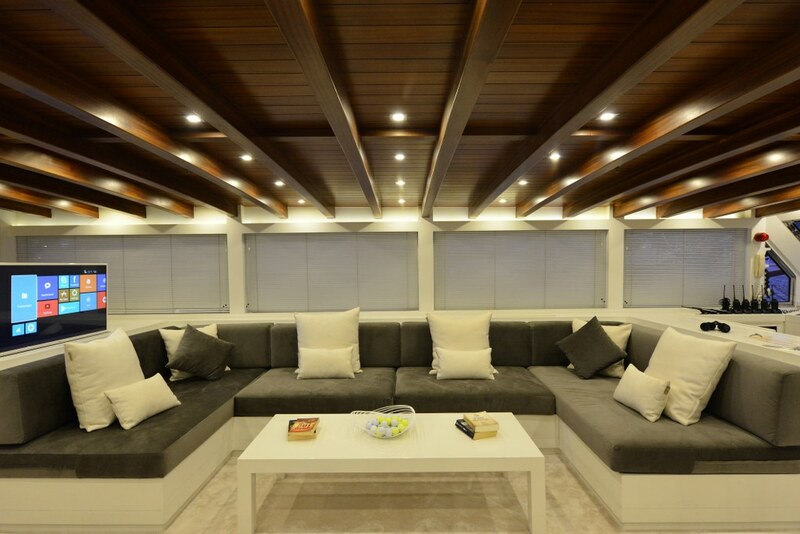 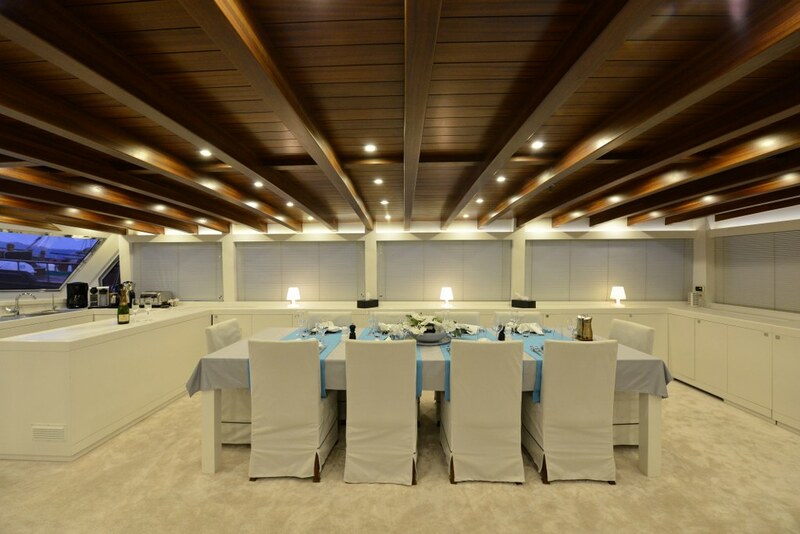 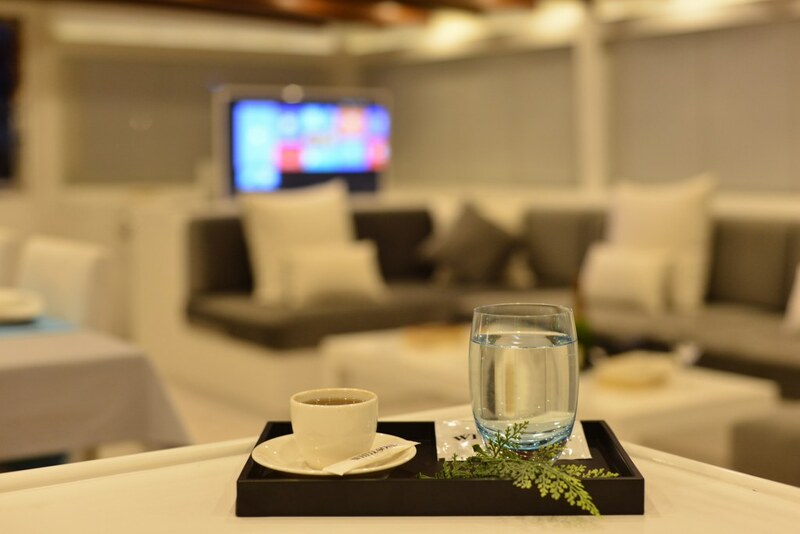 The indoor saloon may be the formal dining room on one side with full dining table and chairs, or on the opposite side becomes the relaxation zone with a comfortable long couch offering seating and leisure with a pop-up plasma TV and home theatre system. 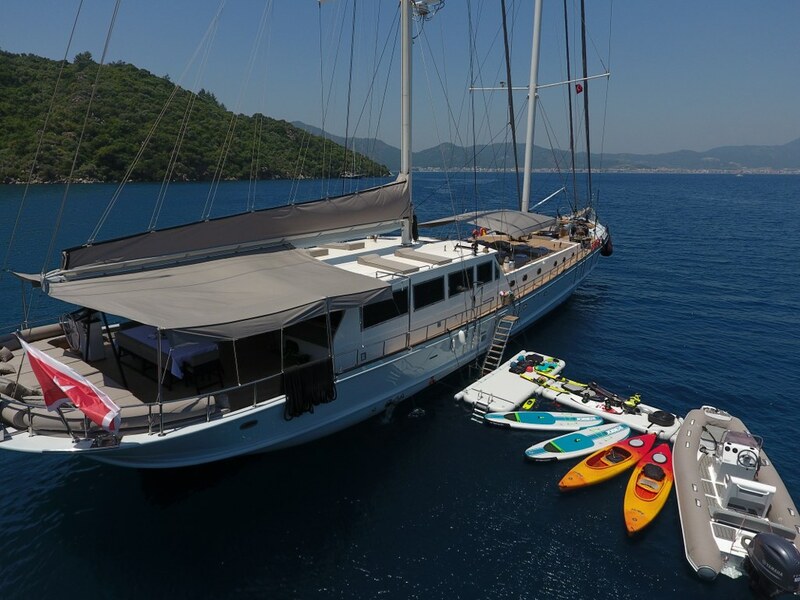 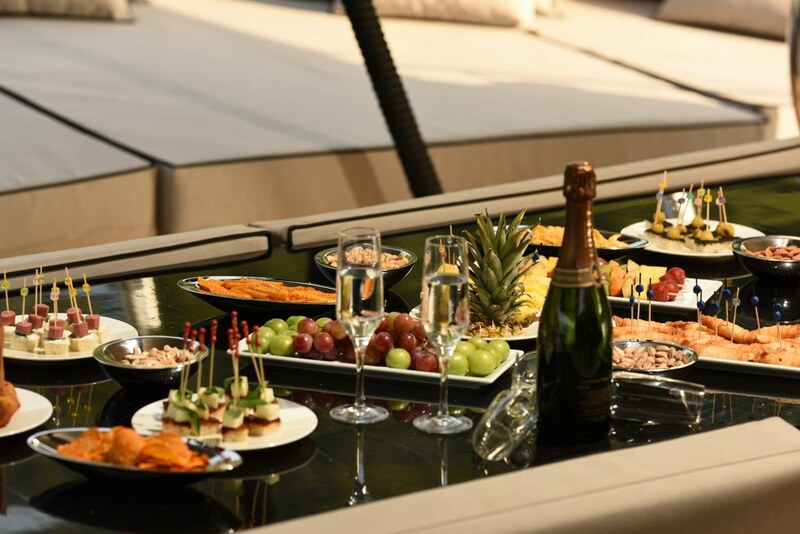 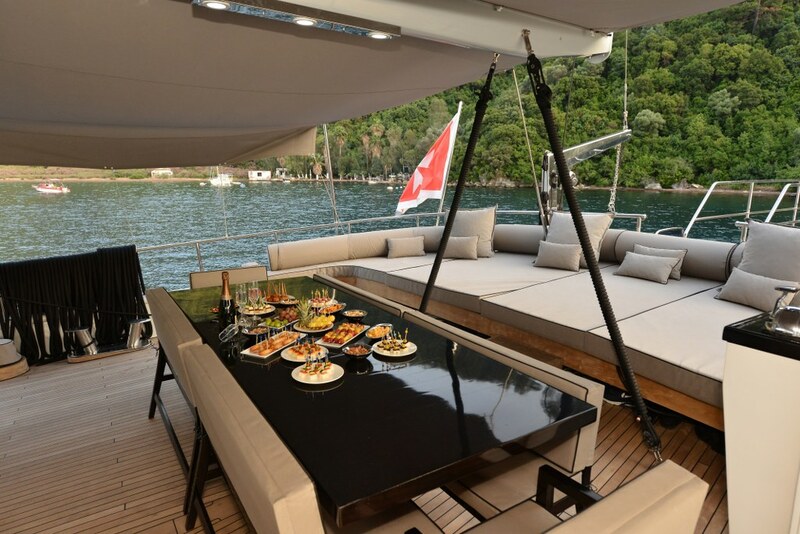 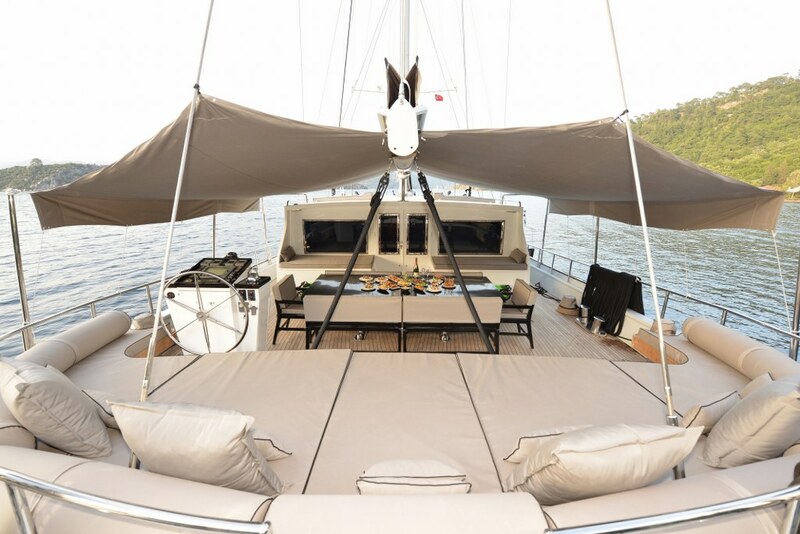 The aft deck on exclusive gulet White Soul has ample space for the outdoor table and chairs for al fresco dining, and the inviting bench of cushions across the stern while another relaxation zone is found on the foredeck arranged with full-length sunbeds. 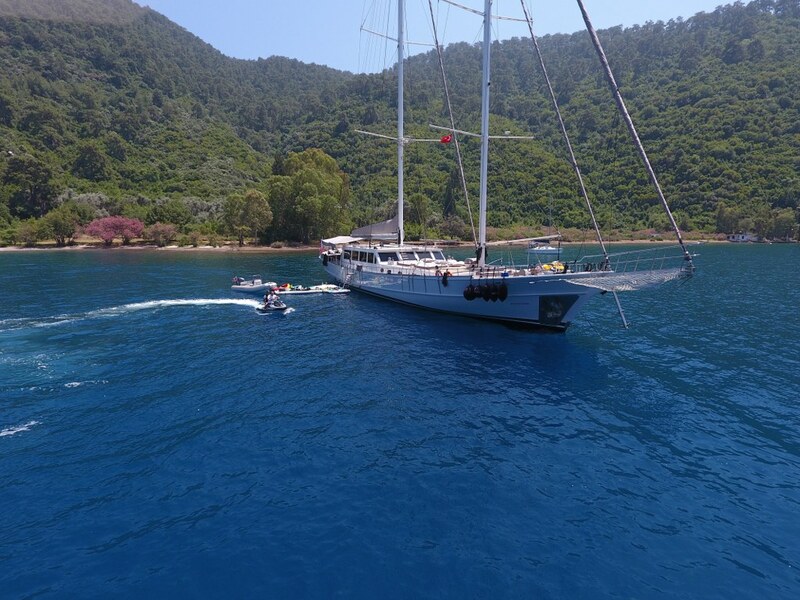 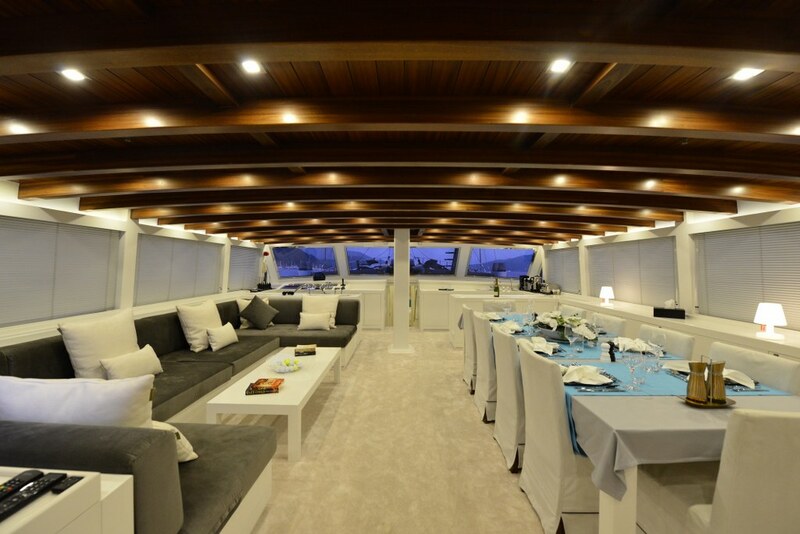 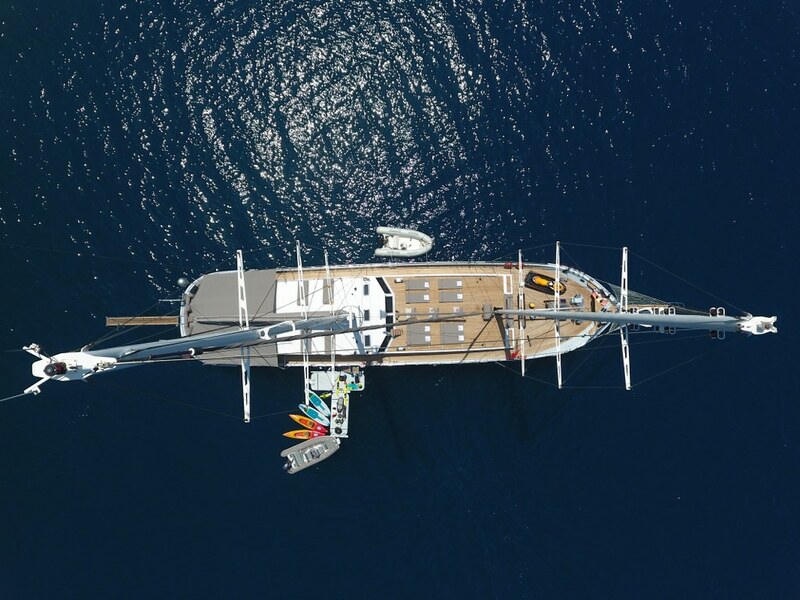 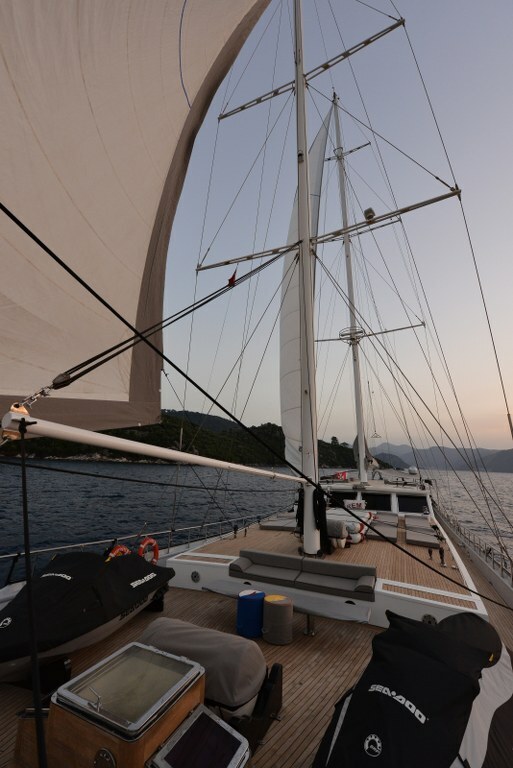 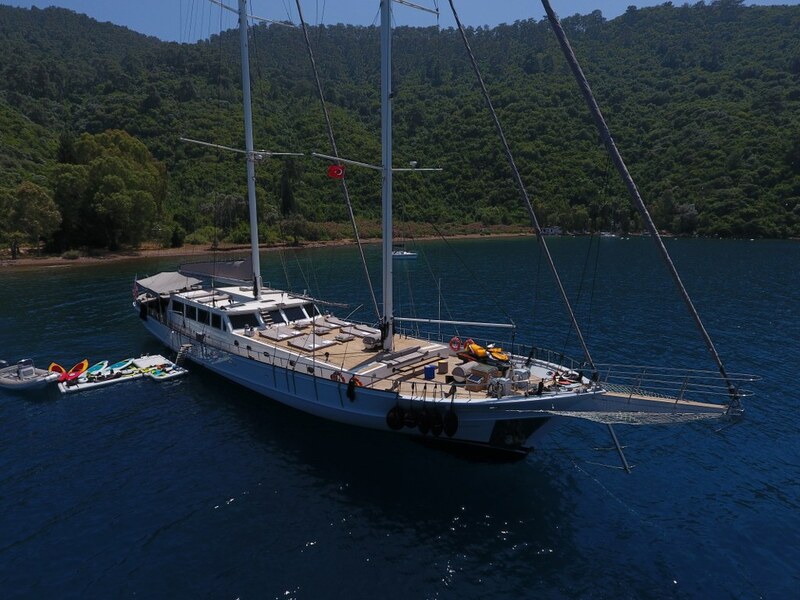 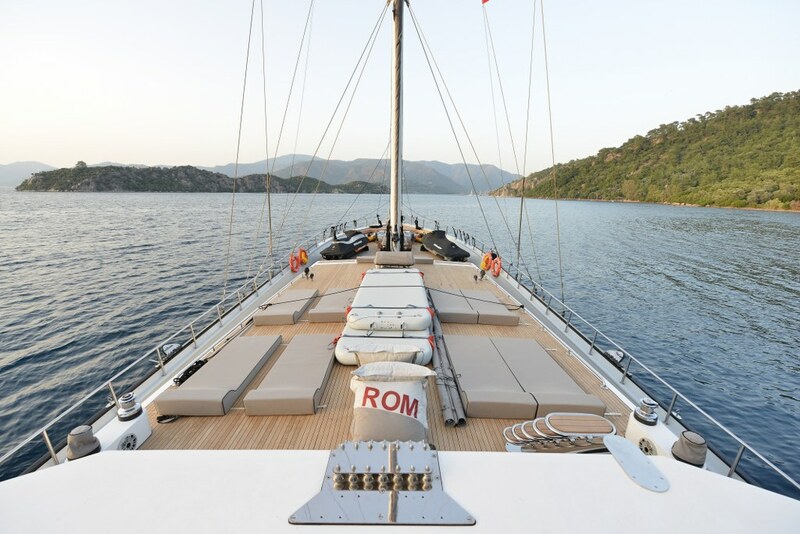 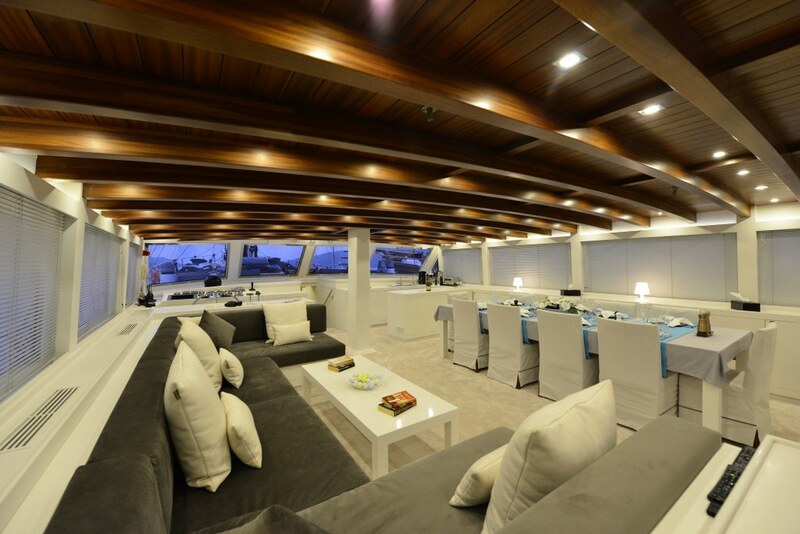 The arc of cushioned seat in the forward bow invites social or quiet moments with a drink or enjoying the scenery as the White Soul moves out splendidly under her full sailing rig, or drops anchor in a quiet bay on the Turkish coast which the captain knows so well. 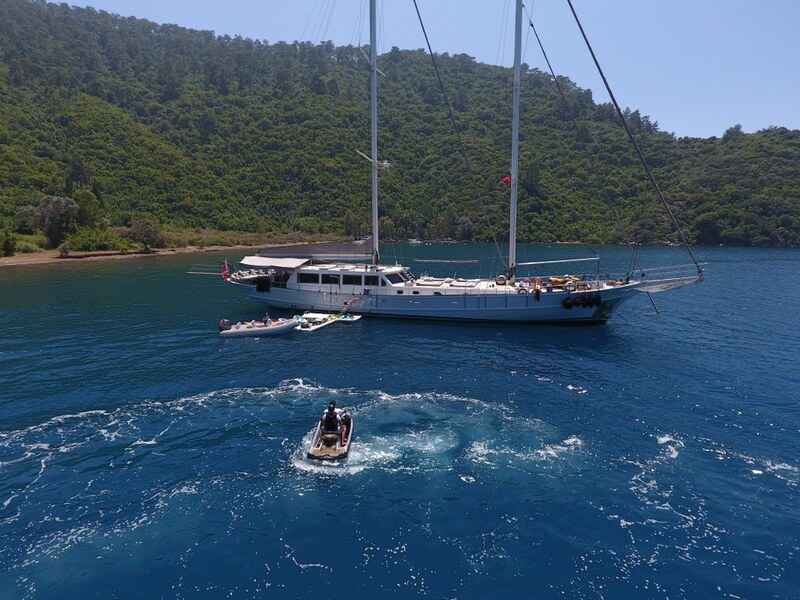 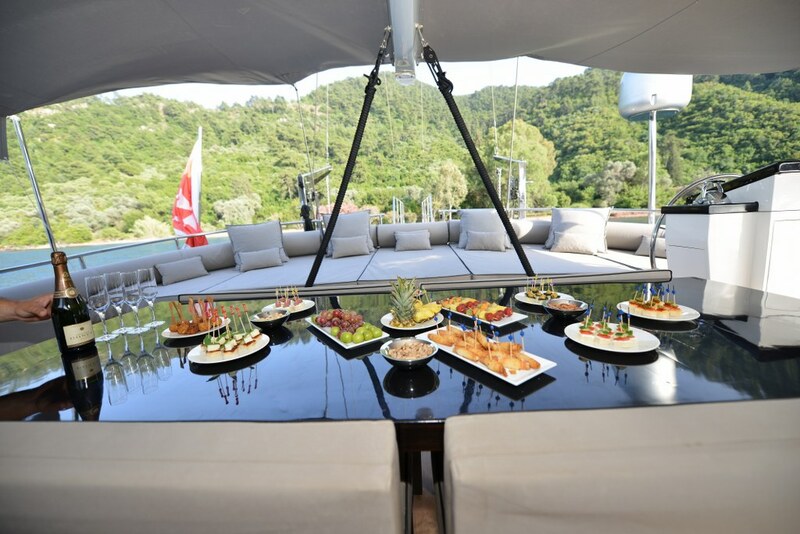 The captain, chef and crew of three, who have their own quarters, are true hospitable professionals who will see to every service, meal and care of the guests and the yacht, to ensure the true luxury VIP gulet holiday is enjoyed by all who are welcomed aboard to enjoy the sparkling seas of Turkey and the Greek Islands.